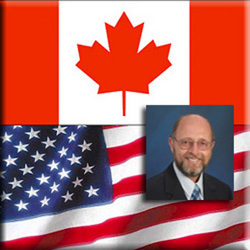 Whistleblower and former CIA financial contractor Harmon Wilfred presented a revised Complaint against Canada and the United States on June 12, 2007 to the UN Human Rights Council in Geneva, Switzerland. Wilfred's original UN Complaint and UNHCR petition #7440099 filed earlier this year against the US, now also names Canada in the alleged violations of the International Covenant on Civil and Political Rights, and includes the UN Convention against Torture and Inhumane Treatment. My client has been paraded through airports and other public places in handcuffs, belly chains and shackles; endured sleep deprivation, 24 hour lockdown; and forced repeatedly into court proceedings in a physically and mentally exhausted state without legal counsel or due process. Harmon Wilfred's revised UN Human Rights Complaint against Canada and the US is currently under consideration by a UN sub commission for allegations of tortuous and unlawful incarcerations, degrading treatment, unlawful punishment, and multiple violations of his civil and political rights. "Wilfred has been unjustly incarcerated for 145 days in an underground maximum security prison in Canada; a US Federal prison, and the Denver city jail by order of Federal Marshals without charges or bail," alleges Wilfred's attorney and UN Human Rights Advocate, Guneet Chaudhary. "My client has been paraded through airports and other public places in handcuffs, belly chains and shackles; endured sleep deprivation, 24 hour lockdown; and forced repeatedly into court proceedings in a physically and mentally exhausted state without legal counsel or due process." Wilfred has no criminal convictions. The Revised Petition brought before the UN Human Rights Council calls for international condemnation of Canada and the United States, and prays for the minimum restitution of $50 Million US Dollars and the restoration of Wilfred and his children's inalienable rights to life, liberty and the pursuit of happiness. On March 1, 2005 at the US Embassy in Auckland, New Zealand, Wilfred irrevocably renounced his US citizenship and became "stateless"; and on May 11, 2007 he filed an unprecedented Claim for Political Asylum in New Zealand under the rules of the UNHCR. 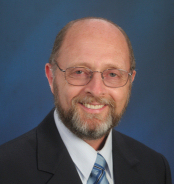 He currently resides with his Canadian wife in Christchurch, New Zealand as founder and Director of Combined Technology; a New Zealand based global VoIP Internet Telco.